One thing to keep in mind is that you're not alone. An experienced, professional real estate agent can guide you through the process, help resolve any issues that come up, and ensure that your home sells for the optimal price in a timely manner. Listed below are a few things to keep in mind when putting your home on the market and learning how to sell your house. Plain and simple, owning a home can improve your quality of life, provide stability, and give you a sense of control you just can't get from renting. You have a place to live when you rent, but buying is something much deeper – and better. A skilled, qualified real estate agent brings tremendous value to the process. You're relying on this agent on many different levels, so be careful to select someone with the right combination of marketing tools, education, experience, performance and local insight. Look for a proven expert who can cast a wide marketing net and attract as many potential buyers as possible. Tips on Choosing and Working with a Realtor offers additional details on finding the right RE/MAX Realty Affiliates agent to suit your needs. What is your home worth in today's market? If you are thinking of selling your home, we can help you establish your home's current market value for FREE. To begin the process, please fill out the Request for Home Evaluation form which will be used to prepare a report detailing all current real estate listings and recent sales activity in your neighborhood. 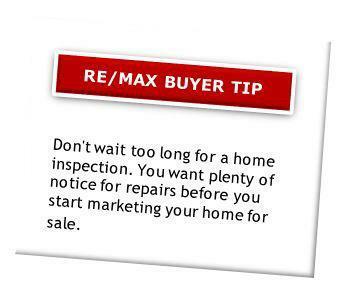 A qualified RE/MAX Realty Affiliates agent will be in contact with you shortly. Experienced agents at RE/MAX Realty Affiliates understand how to accurately price your home and make it stand out in the market. They have access to a wide range of effective and proven marketing tools to reach the most discerning buyer. In addition, they have access to a vast referral network, enabling them to connect with potential buyers across town or around the world. RE/MAX Realty Affiliates' marketing efforts on your behalf gets your home sold, fast and for top dollar. Read in more detail about some of the ways RE/MAX Realty Affiliates markets your home for sale. That statement costs home sellers millions of dollars every year. Yes, you can always lower your asking price, but that’s not a good strategy. Time and time again, experience shows that sellers who list competitively from the start get a better price than sellers who list high and then go lower and lower. Similar homes, via a Comparative Market Analysis (CMA): Your agent will provide a professional analysis that goes deep into stats about recent sales and current listings similar to your home in size, age, condition, and features. Sales within the past six months are especially relevant. General market conditions: Is it a seller's market or a buyer's market in your community? It's important to note that what's happening nationally may not reflect local conditions. Your agent can explain the difference and clear up any misconceptions you may have. Read more about the importance of pricing your home to sell here. Write a letter about your neighborhood that your real estate agent can share with potential buyers. Include information on local events, neighborhood amenities and other factors that define the community. Clean everything! Check for cobwebs on ceilings, dust on baseboards – everything. De-clutter. Then de-clutter again. Rent a storage shed if you need to. This is very important for increasing your home's appeal. Read more about Preparing Your Home to Sell. This is the kind of surprise that can lead to buyers pulling out, costing you time and money on a number of fronts. It’s better to know problems from the start and either deal with them before listing or price the home accordingly. Attend your home inspection to see first-hand what the inspector notes and to learn some important details about the house that may assist you in selling. Remove clutter that may get in the way of key inspection areas, such as water heater, furnace, and main valves. Provide full access to attic, basement, crawl space, and garage. Leave the keys if they're needed to enter these areas.